Cook sausages in a tablespoon of butter until they are nearly black on the outside and very well-done. In a separate iron skillet, scramble eggs in remaining butter until they are creamy and soft. 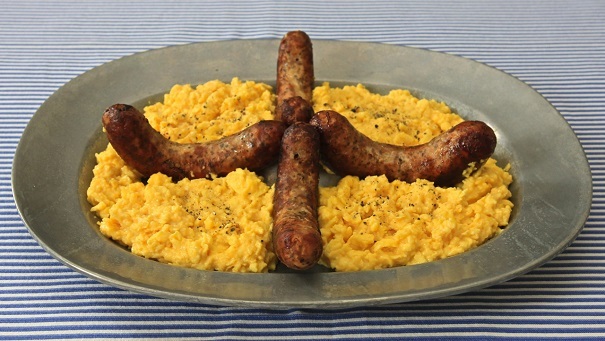 Arrange sausages on plate, and fill serving plate with the eggs. Salt heavily and serve.